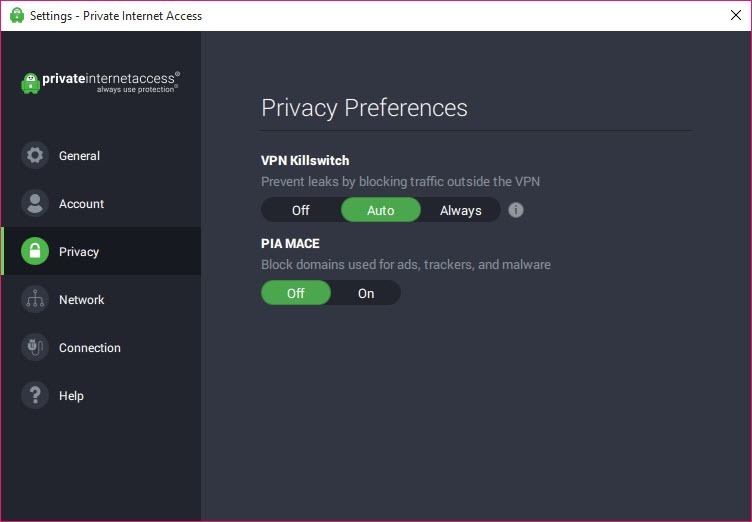 Private Internet Access VPN helps you in anonymize your web traffic, and it prevents trackers and websites to monitor what you are doing online. It is a user-friendly app which offers quite advanced software solutions that are designed to hide your Internet activity. There are a lot of individuals who would benefit from your private data, and this is why it is essential to use a tool which hides your data from being discovered. 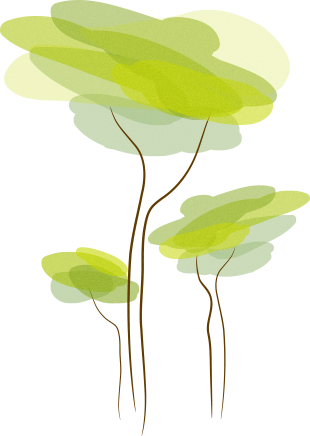 It goes through a setup in which you need to provide your credentials to connect to the Virtual Private Network. You can do other things in the settings window such as customizing your preferences the way you want. 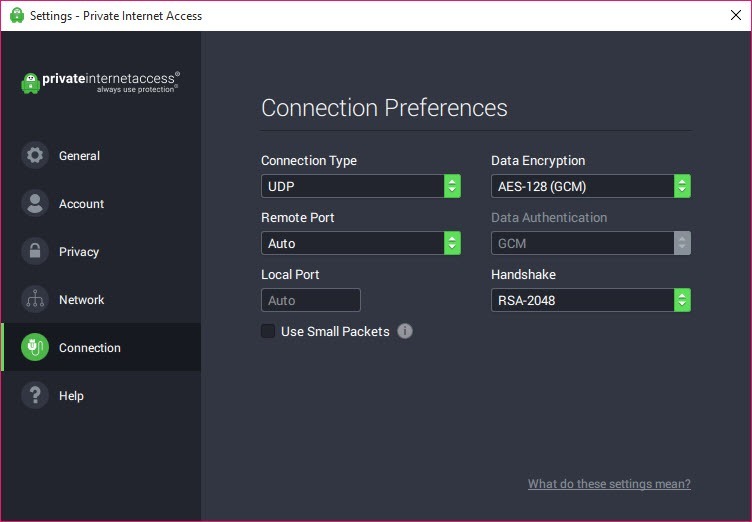 You can find the connection type and select either UDP or TCP. The local and remote port can also be customized the way you want, and you can enable or even disable the port Forwarding capabilities, depending a lot on your needs. 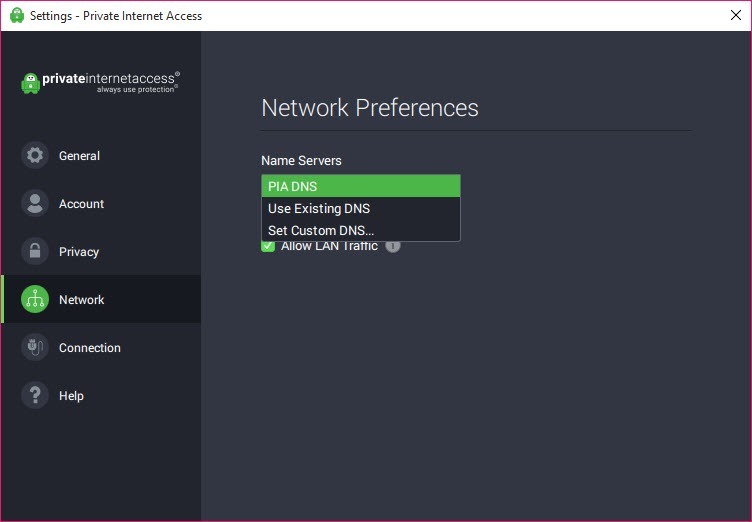 Private Internet Access also supports the “VPN Kill Switch” and also the “DNS Leak Protection” which allows you to activate and deactivate these features by simply checking the box. You can configure your encryption preferences, and you can opt between several algorithms that you want. 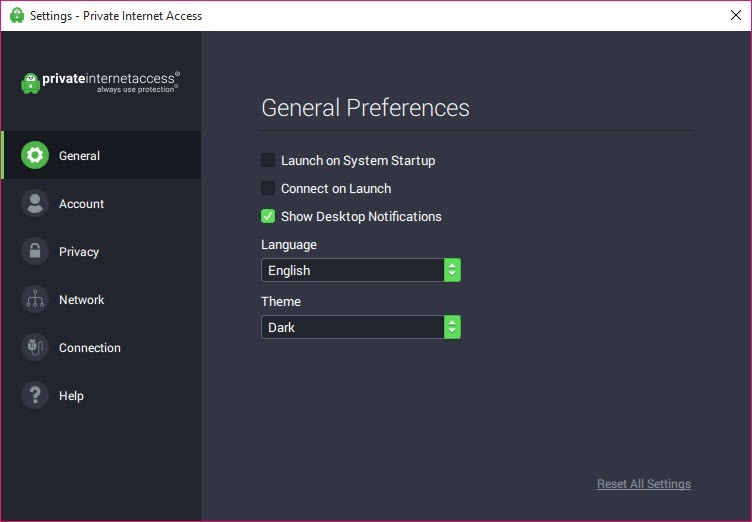 After you set up Private Internet Access, you can start it and enable the “Auto” option if you want always to use it when you open the PC. It assigns you a random country. You can browse the web anonymously without worrying that someone is spying on what you are doing online. You can access restricted local websites that won`t be possible to be obtained if you were to use your real IP address.